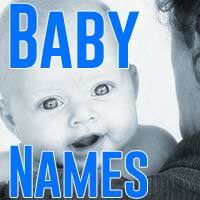 Looking for a unique name for your baby in 2014? Beyonce probably isn’t the way to go. Even Twerk is getting old at this point. We took some time to find some really cool and unusual baby names to give you a head start. We made some attempt to put these names in Boy and Girl categories, but a large percentage of them could go either way (except Duke. Please don’t name your daughter Duke).